The last couple of days, we've been busy adding some more cars to the gallery, and today we'd like to highlight this handsome American bloke in the proverbial Italian suit. 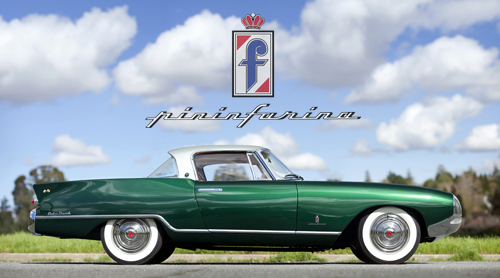 Meet the Nash Rambler 'Palm Beach' by Pinin Farina. 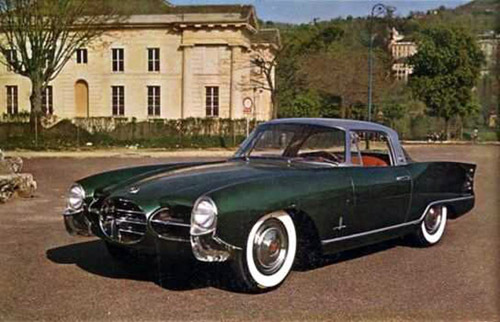 During the mid-1950s, Pinin Farina had been experimenting with various "jet-age" themes. The influence of American car design, combined with new aerodynamic insights, inspired Pinin Farina to create some spectacular designs that would pay tribute to the exciting new aerospace technology. This dramatic theme first appeared in 1953 in the PF200, a series of Lancia Aurelia Coupes and Convertibles with a similar design as the Nash Rambler 'Palm Beach'. 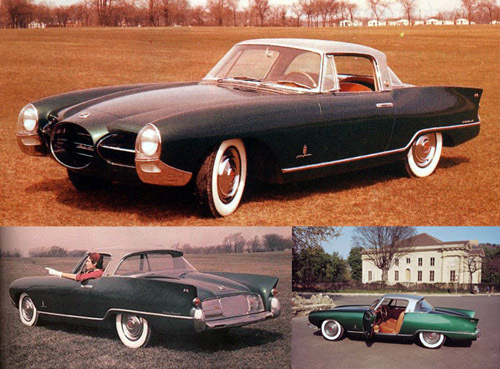 Pinin Farina's Nash 'Palm Beach' concept was created as a replacement for the Nash-Healey and intended not just as a "dream car" with little hope of reaching the road, but constructed so that it could be introduced to the market in a short period of time. Unfortunately, by the time the 'Palm Beach' was finished, Nash's mother company, American Motors, lost interest in offering a sports car in the lineup and the 'Palm Beach' remained a one-off show car for ever and eventually became private property of the Chairman and CEO of American Motors, Roy Chapin Jr.
Click here to go to the Pinin Farina Nash Rambler 'Palm Beach' Gallery.